With a new year comes new resolutions! 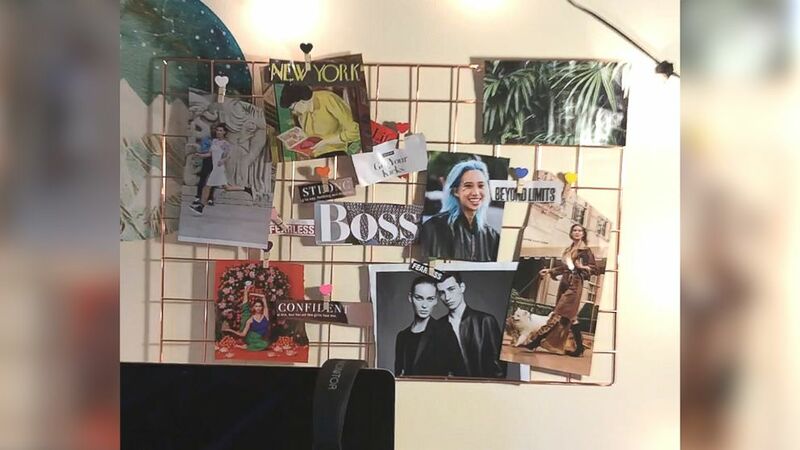 Vision boards, a space to collect and visually organize ideas or inspirations, have long been popular on Pinterest where the company says over 80 million boards on Pinterest with "vision" in the title or Pin description were created on the platform last year. To help you visualize your New Year's resolution or set your intentions for 2019, we created a DIY vision board planner and wall panel that you can make yourself to get that daily dose of inspiration. Professional crafter Michelle Edgemont walked us through the process below step by step. Crafting blogger Kimberly Lauren inspired the "Good Morning America" team to design our own version of her fun DIY vision board planner. Create a fresh surface in the front of your planner using colorful or printed paper. Cut out inspirational words and images from your magazine or elsewhere. Write your goals in the planner. Step 5. Add some stickers for an extra special touch! Cut out inspirational words and photos from your magazine. Using the clothespins, attach your clippings to the board. Step 4. Hang on your wall and dream big all year long!